Very good condition Beretta 1935 chambered for 32 Auto. 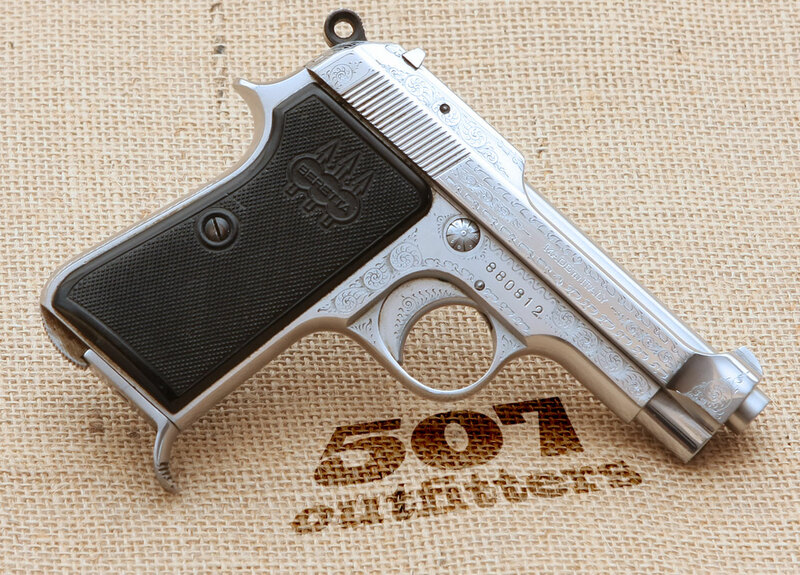 The pistol was manufactured in 1956 and features 3 3/8” barrel, nickel engraved finish, plastic grips and comes with one 8-round magazine. 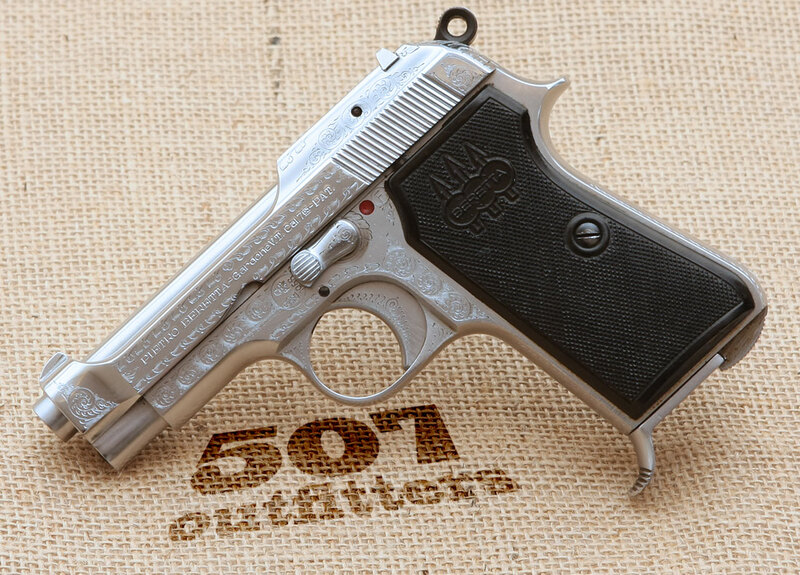 Upon request, available at upcoming gun show – please, see our schedule on the main page, or at the 507 Outfitters in Easton, PA. We also carry other Beretta pistols. Contact us for pricing and availability at contact@507outfitters.com or call us at 610-438-4780.